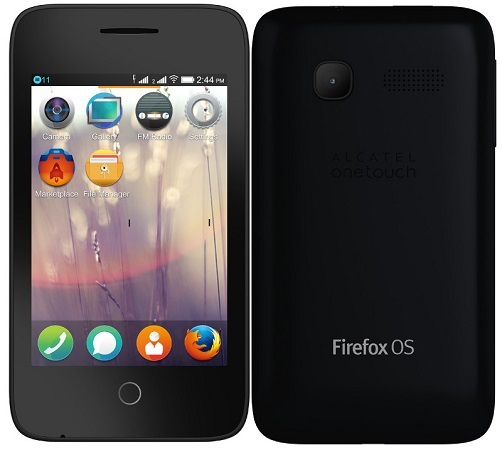 With the first wave of Firefox smartphones coming in India, Alcatel has also launched its handset – the Alcatel One Touch Fire C.
Alcatel has announced the launch of the Alcatel One Touch Fire C in India, which is the company’s first smartphone running on the Firefox OS. The device has a 3.5 inch display with resolution of 480 x 320 pixels. The smartphone is powered by a 1 GHz single core Spreadtrum processor with a mere 128 MB of RAM and just 256 MB of internal storage. The Alcatel One Touch Fire C has a small 1.3 MP rear facing. The device runs on the latest Firefox OS version with support for Indian languages like English, Bangla, Tamil and Hindi. The handset is priced at Rs. 1990 and would be available exclusively through Flipkart.